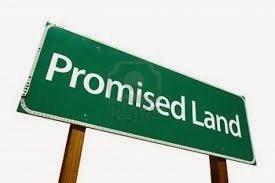 Where is the promise land and what does it connote? From the popular story of the Israelites, we can find some important answers to these questions of great importance. Israel is a covenant nation. The Israelites are a special people, long ago God of heaven and earth made a covenant with a man an elderly man from an area around Pakistan. He demanded a relationship from Him and that if he served and obey Him- The Jehovah El-Shaddai, he was not only going to have a son in His old age, but that He will become a nation ,He will be blessed and nations through him. And so this man became the friend of the Almighty God because He believed every word even when he could have easily doubted…And yes! God did keep all his words because He is a Covenant Keeper. This man man and his wife in due time not only had a son, but He became a mighty nation- the nation of Israel. This man was Abraham. It happened that the people of Israel once sojourned in Egypt in the best part of the country called Goshen, it was almost like a Government Reserved Area (GRA) or Goshen Reserved Area if you like. Not long after their brother Joseph who consulted for the Government of Egypt and acted in a great capacity as Prime Minister among other vital roles implementing great policies and all that. However, they were maltreated by the new government who cared less about antecedents. The special people became slaves in a strange land. But Remember… God had a plan… He still had a covenant in place. God raised a unique Leader called Moses and they embarked on their Journey to the promise land – a land flowing with milk and honey! Let's take a cue from this historical journey, as we move towards our goals and aspiration in live. You are not alone if God is involved. Do not give up on the journey!